Deriving from South America stems Tiete Rosewood, an exotic floor that is pale salmon-pink colored with occasional dark red striping. Sirari, Kuruguay, and Patagonian Cherry are other names known for Tiete Rosewood. 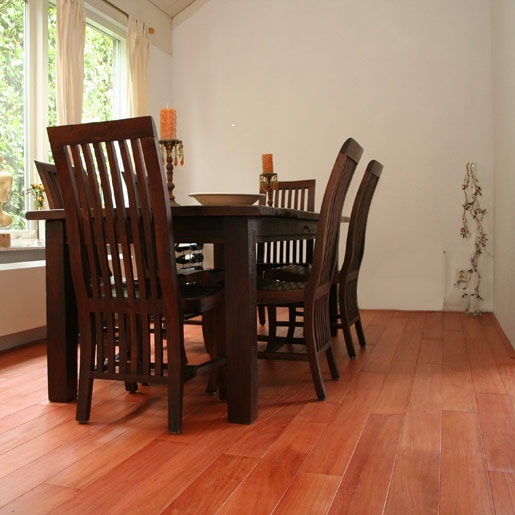 This exotic flooring is extremely durable scoring very high on the Janka scale at 3,280. This exotic species is extremely unique and looks best with darker furniture to give great contrast to your decor. 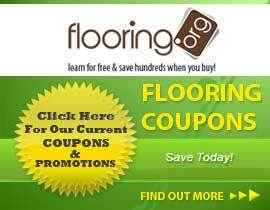 This flooring will be best in either a commercial area or even a home. This flooring can be installed by either nail or staple down method. Tiete Rosewood is a unique choice for your flooring project offered in a 3", 4" and 5" width and it will give you the exotic look you are looking for with extreme durability and excellent style.